Dwayne "The Rock" Johnson shared a first look at his newborn daughter with Lauren Hashian: "Christmas came early," he said of his second child's arrival. Christmas came early for Dwayne "The Rock" Johnson. The Rock and his girlfriend, Lauren Hashian, welcomed their first daughter together on December 16 and it looks like the proud papa already has a special bond with the baby. He shared a photo and revealed that they chose the name Jasmine for the newborn. The Rock also shared a long, emotional message about what it means to be a father aongside the sweet shot of himself holding his new addition. "Christmas came early," The Rock captioned the photo. "Within minutes of being born she was laying on daddy's chest. 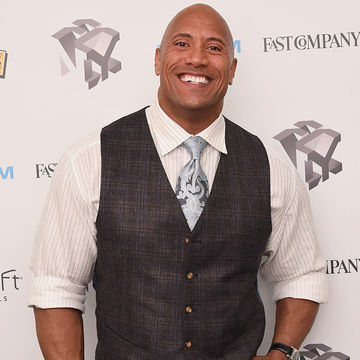 And being a grateful man takes on a whole new meaning..."
This is The Rock's second child—he also has a 14-year-old daughter, Simone, with his ex-wife Dany Garcia.